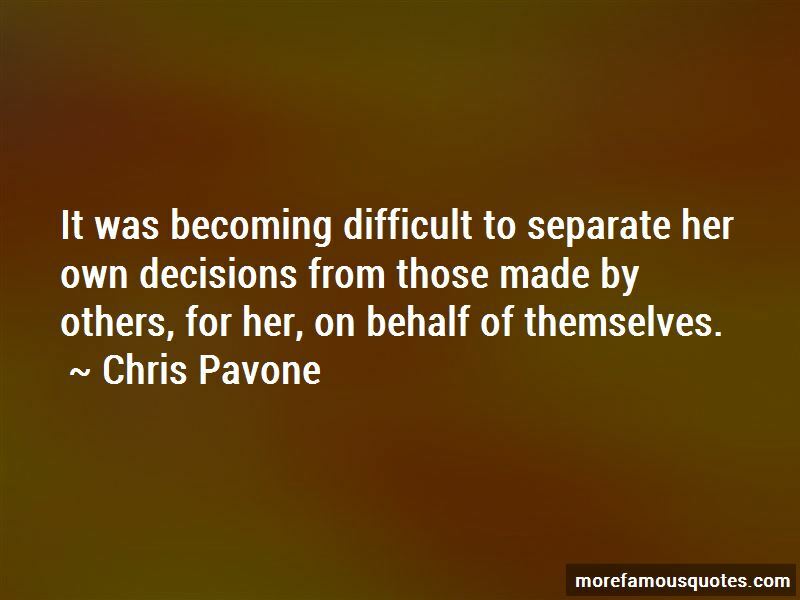 Enjoy the top 28 famous quotes, sayings and quotations by Chris Pavone. “People will think were having an affair," Kate said. She took a seat next to Bill on the cold slats of treated wood. People who were too outgoing made her suspicious. 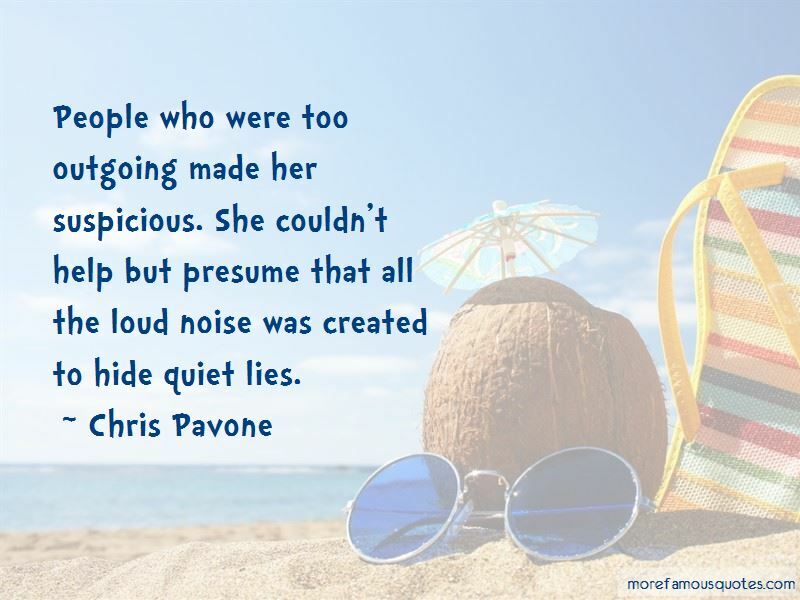 She couldn't help but presume that all the loud noise was created to hide quiet lies. Travel wasn't fun if you didn't get to see or do what you wanted; it was merely a different type of work, in a different place. “People will think we're having an affair," Kate said. She took a seat next to Bill on the cold slats of treated wood. Circumstantial evidence may not be enough to convict. But it's almost always enough to reveal the truth. Isn't it? As they'd agreed the night before on their cold balcony, scripting out this dialog, there would be three large lies in this conversation. This was the first. The two men maintain firm eye contact. A poker game, both of them bluffing. Or pretending to. “You know what this means? Now that it was finally here, she wasn't surprised to find herself still reluctant to start it. Reluctant to end the part of her life when this conversation hadn't happened yet. Reluctant to find out what her life would look like after it. But if you move fast, you can have your freedom. Lexicon grabbed me with the opening lines, and never let go. An absolutely thrilling story, featuring an array of compelling characters in an eerily credible parallel society, punctuated by bouts of laugh-out-loud humor. 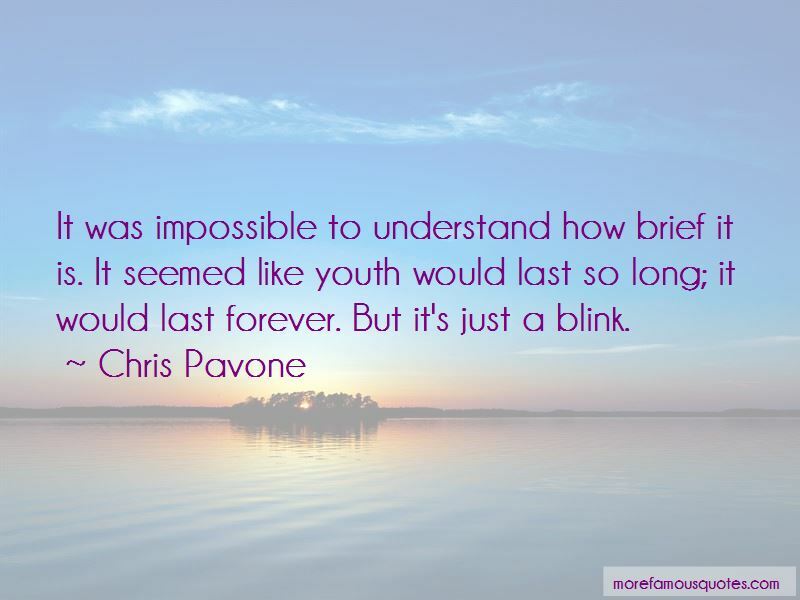 Want to see more pictures of Chris Pavone quotes? 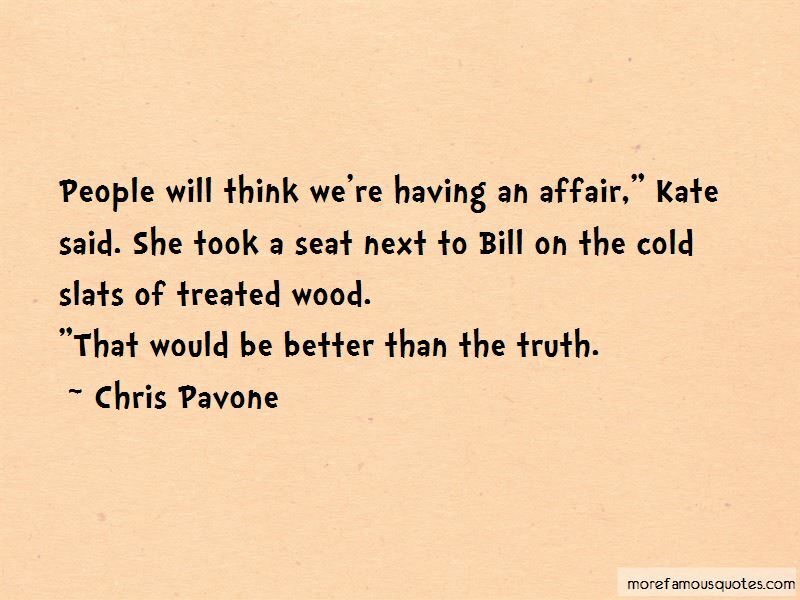 Click on image of Chris Pavone quotes to view full size.